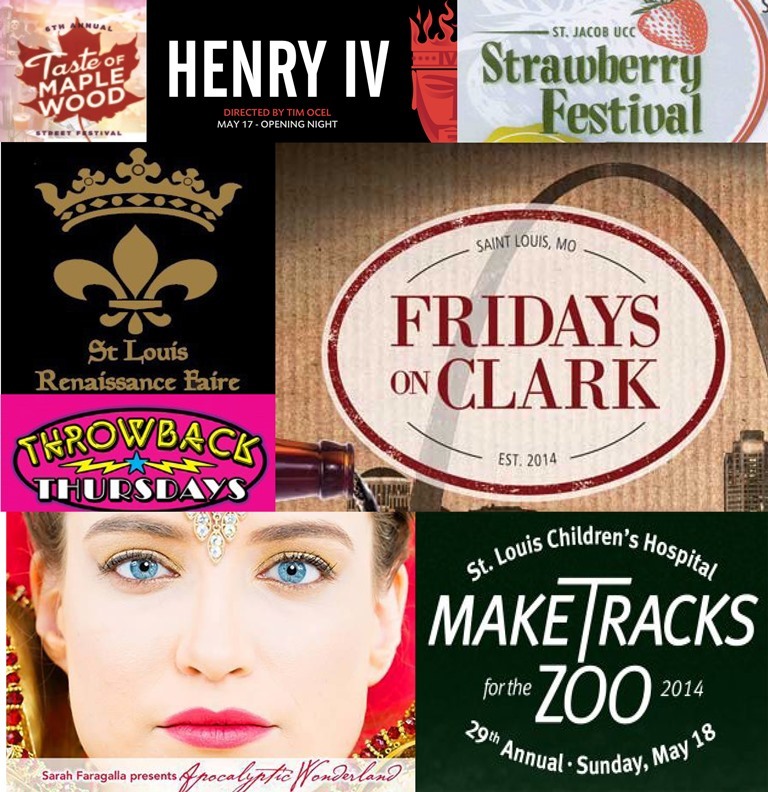 The weekend events in St. Louis from Thursday, May 15th through Sunday, May 18th. 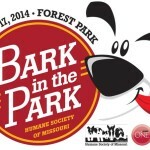 Bark in the Park: An event for our furry friends. 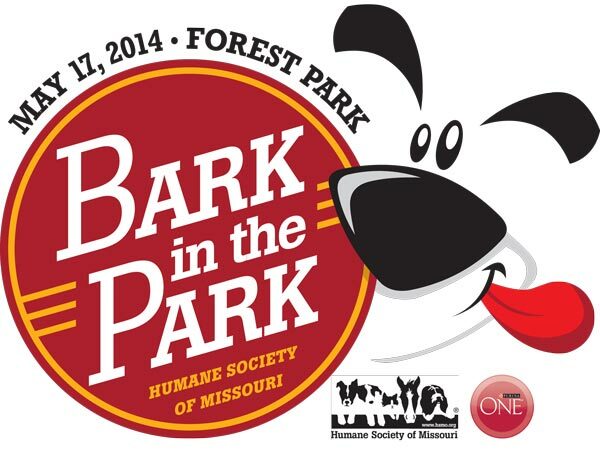 Presented by Purina, this annual event raises money to help homeless animals through the Humane Society of Missouri. It features a 5K Run, 1-Mile Walk, pancake breakfast, a variety of pet contests and a performance by the Purina Incredible Dog Team. Heartgard and Frontline are also sponsoring an Interactive Family Fun Center. 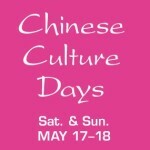 Barn Buddy farm animals will be in attendance for the enjoyment of all as will various food trucks. Pet adoption opportunities and pet micro-chipping are also on the bill. 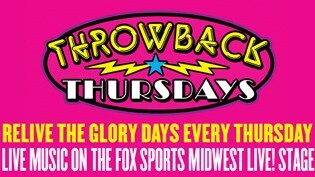 Throwback Thursdays at Ballpark Village: Relive the glory days every Thursday night starting at 8pm. 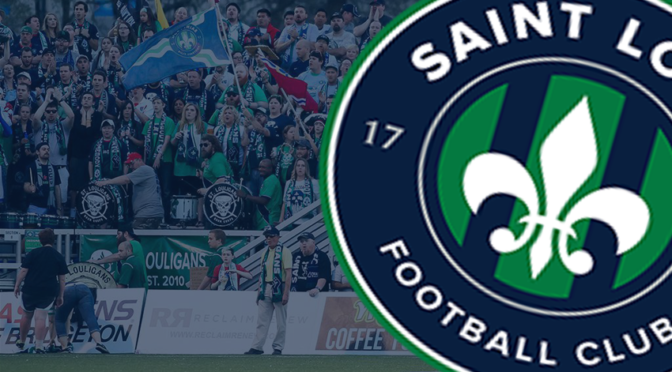 Fox Midwest Sports live will have live music from the 80s, 90s, and early 2000s plus great throwback specials including: 34 oz beers for $6, throwback shots for $4, and Sunny D and vodka for $4. In addition, this week the Rough Ryders will be performing at The Barn at PBR starting at 9pm. The Rough Ryders play country favorites and rock favorites by Johnny Cash, Brad Paisley, Trace Adkins, Garth Brooks, Toby Keith, George Strait, Toby Keith, and more. 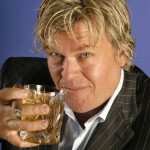 Ron White: A Little Unprofessional: Comedian Ron White aka Tater Salad, will be performing in St. Louis this weekend. 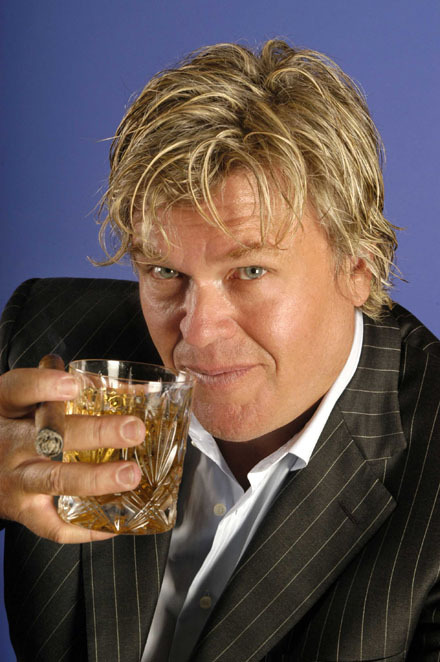 His stand-up includes cigar smoking, scotch drinking, and not-so-family-friendly jokes. He hit it big while on the Blue Collar Comedy tour with Jeff Foxworthy. He’s received two Grammy nominations, a Gold Record, two of the top rated one-hour specials in Comedy Central history, and a New York Times Best Selling book. 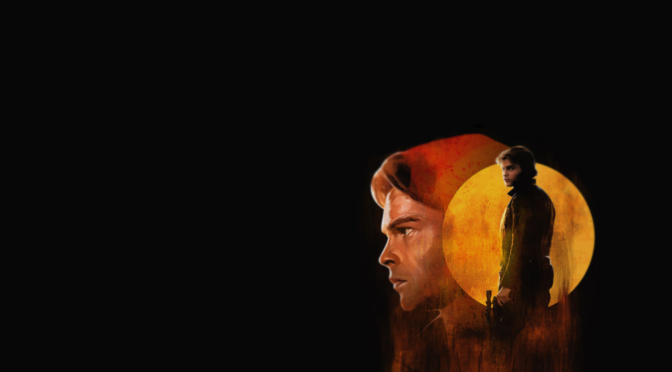 Tickets start at $59. Check out some of his stand-up here. 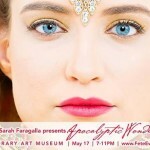 Exotic Rules Third Friday: The gallery presents Contemporary Ancient by Carol Zeman and Leandra Spangler. A rich tactile experience with fiber and artist made paper that explores contemporary issues related to primordial images. 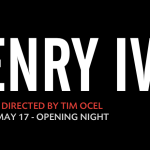 On view through June 17. 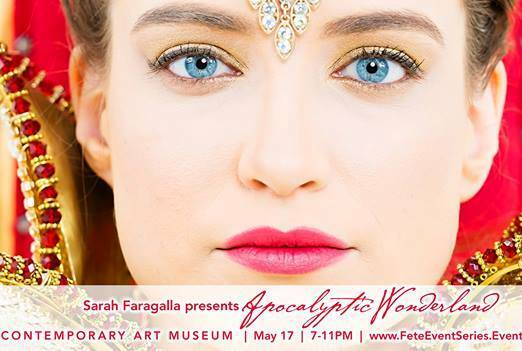 The event also includes: belly dancing, Henna tattoos, live music with Middle East vibe, fire spinning, Drink Specials for Spiced Sangria w Rosemary and Dark & Stormy w ginger beer and dark rum. Chef Heidi’s specialties of hummus & pita, Tandoori Chicken, cous cous and more. 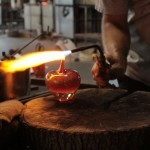 Make your own “glass”terpieces: tiles, nite lites, beads, paperweights, and fused jewelry. 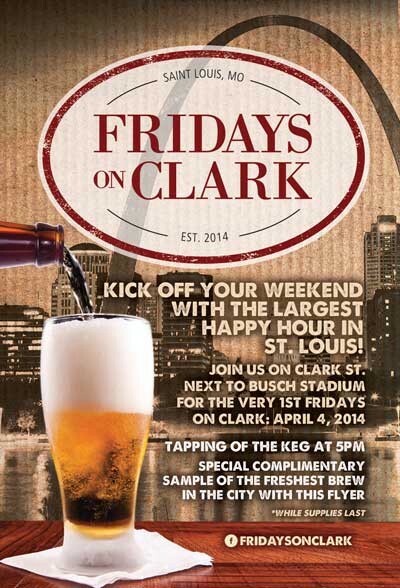 Fridays on Clark: The biggest Friday Happy Hour Event in St. Louis! 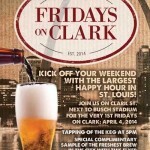 Every Friday, a special beer will be featured and transported to Ballpark Village in a unique way. After the beer has arrived, a guest of honor selected by Ballpark Village every week, will tap the first keg. 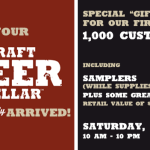 Tony Caradonna, the Beer Man of Ballpark Village, will make a toast and free samples will be distributed! 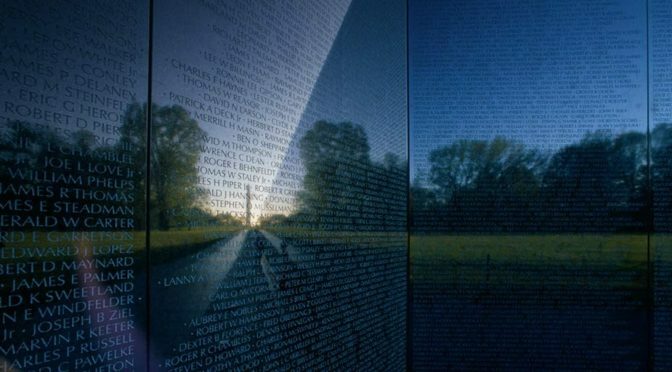 After the opening festivities a live band will perform for FREE for the public. This week: Dance Floor Riot! Steps for Hope: A walk to celebrate survivorship, honor loved ones, and support Cancer Support Community of Greater St. Louis. There is a 1 mile walk or 3.7 mile walk or fun run. 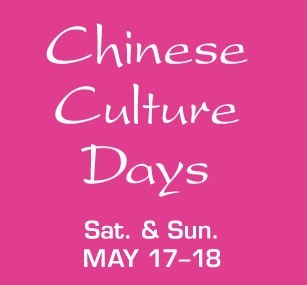 Additional festivities include a raffle, children’s activities, Zumba demo, info booths, food trucks and the Inspiration Pavilion, which offers an opportunity for walkers to post photos of their loved ones or share inspiring stories about a family member, friend or co-worker. 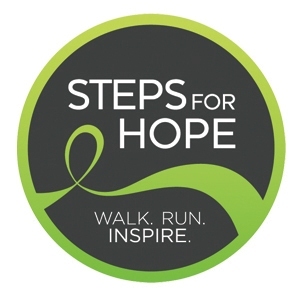 In celebration of the 250th anniversary of St. Louis (STL250) and STEPS FOR HOPE, this year they will be honoring 250 cancer survivors. 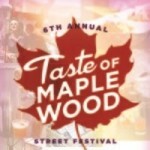 Taste of Maplewood: The 6th annual festival will be better than ever! 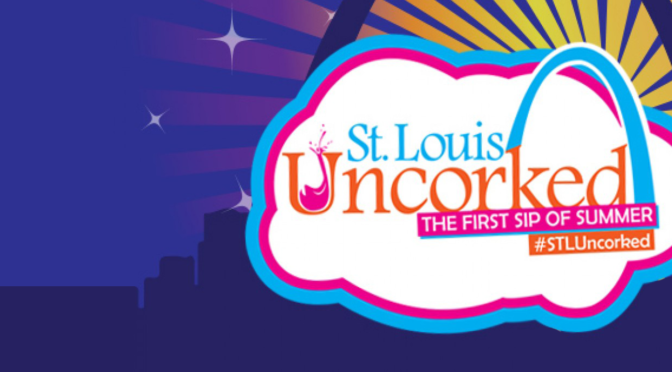 Visitors will enjoy live entertainment on two stages, including performances by Gene Dobbs Bradford Blues Experience, Al Holliday and the East Side Rhythm Band, St. Louis Irish Arts, The Blue Lemmings and more. 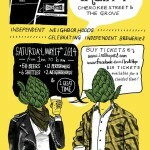 Enjoy food from Maplewood’s finest like Boogaloo, McAlister’s, The Blind Tiger, The Post, The Wood, and more. 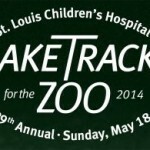 The food and drink contest promises to be spicier than ever and vendors will once again compete to be hailed the “Best Of” by celebrity judges, including Feast Magazine’s Publisher Catherine Neville, Riverfront Times Writer, Nancy Stiles, and Host of KMOX’s The Charlie Brennan Show and KETC’s Donnybrook, Charlie Brennan. Categories include Best Sweet Tooth, Best Unexpected Flavor, Best Cocktail and Best Overall Taste of Maplewood. 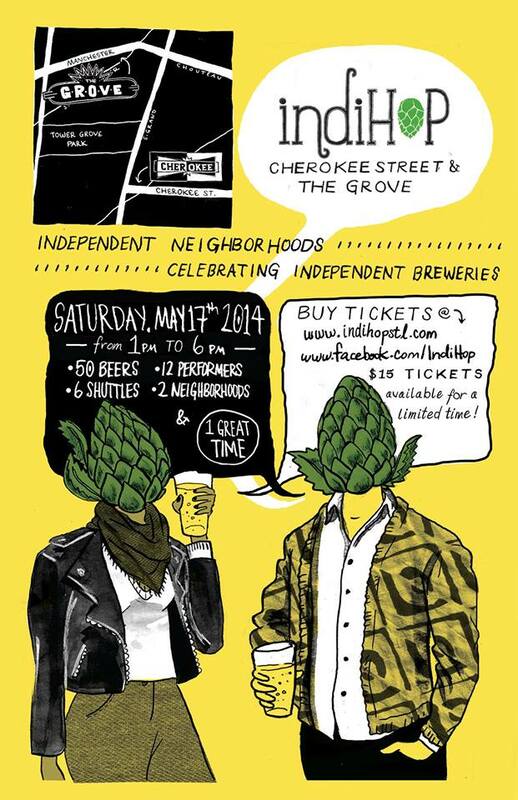 IndiHop Festival: Sample up to 50 locally made brews, enjoy live entertainment from local musicians and street performers, and eat at some of your favorite restaurants in the Grove or Cherokee Street neighborhood. IndiHop shuttles will be running from 11:30am-7pm to transport you around to participating establishments. 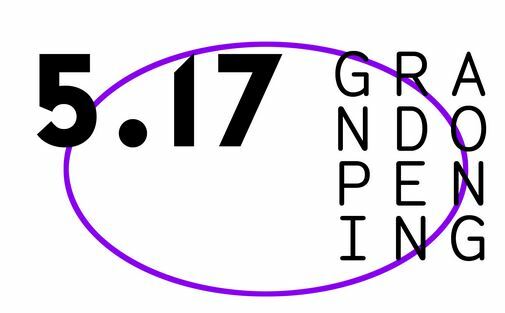 Tickets are $15 and include a tasting glass, event booklet, and shuttle transportation between the Grove and Cherokee Street. 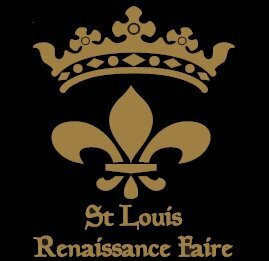 Shakespeare Festival: The only free outdoor professional theater in St. Louis. 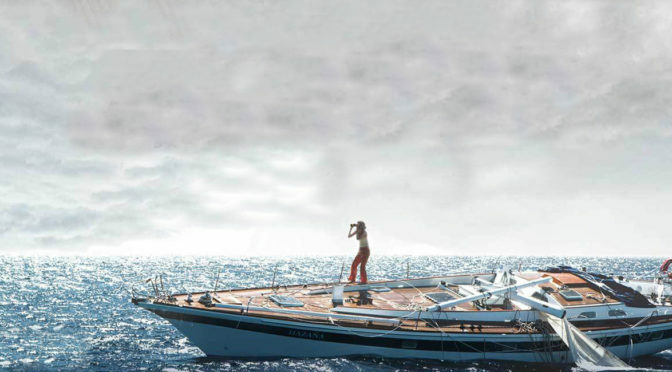 The festival’s productions feature some of the country’s best actors and has been nominated for numerous awards. 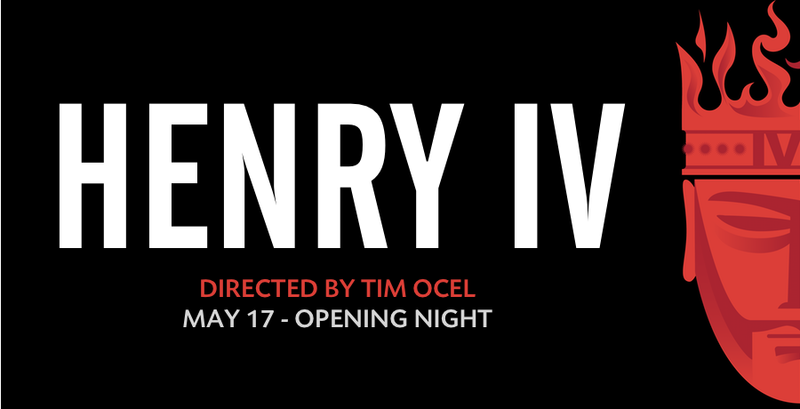 This year’s featured productions are Henry IV and Henry V. Henry IV premieres May 17th at 8pm following The Green Show. The Green Show is traditionally a prelude to an evening’s main performance and serves as a means of preparing the audience for that night’s main offerings, and creates an environment for pre show picnickers to enjoy light entertainment while breaking bread with family and friends. 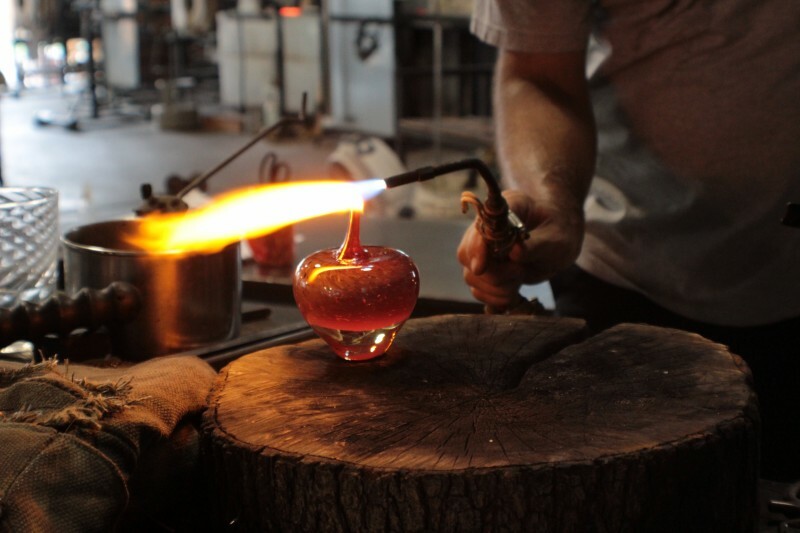 Each night beginning at 6:30 PM, entertainment is performed throughout the Glen. 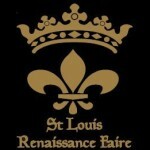 Renaissance Fair: Travel back to a 16th century French village, Petit Lyon, that has been re-created by a costumed cast. See Jousting Knights, find unique crafts and goods in village shops, enjoy comedy, music and feats of derring do, feast on delicious food and drink, interact with villagers, nobles, peasants and personalities of ages past, witness sword fighting and juggling, and hear music and laughter around every corner! Children will enjoy the petting zoo and games in the Kid’s Kingdom. 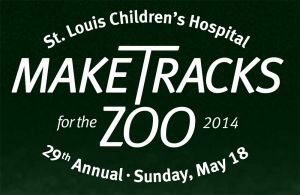 Tickets are $12.50 for adults and $7.50 for children. 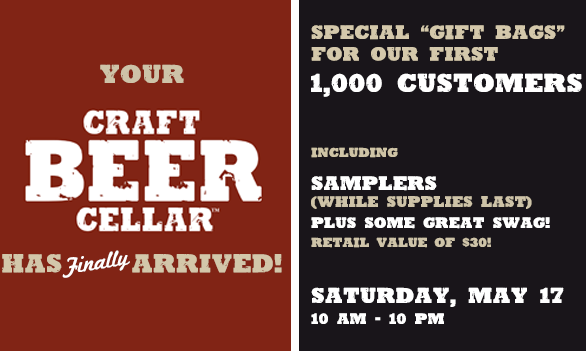 Craft Beer Cellar Grand Opening: Craft Beer Cellar is the only ALL CRAFT bottle shop in St. Louis. 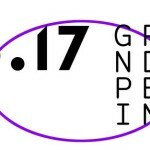 Over 900 brands of beer will be featured from all over the world organized by region and style. Mix your own 6 packs from anything and everything we carry in the store. 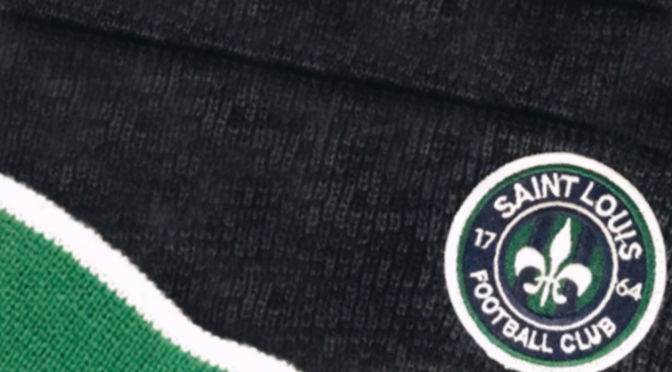 The grand opening on May 17th will feature cool prizes and giveaways, free samples (while they last) and gift bags to the first 1,000 customers. The opening day draft list includes: New Belgium Brewing La Folie – Oud Bruin, Great Divide Brewing Co. Chocolate Yeti, 4 Hands Brewing Company Contact High, Evil Twin Brewing Falco – American IPA, and Brouwerij Bosteels Tripel Karmeliet – Belgian Tripel. The Luminary Grand Opening: A free event open to the public, which will offer a first glimpse into the finished new space with music by DJ Air Bud and Evelque, cash bar, live art auction by Link Auction House and a silent auction with items from Whisk Bakeshop, Indigo Massage, Art Mart, STL Style, Benton Park Prints, Climb So iLL, and more throughout the evening. 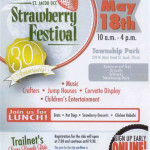 Strawberry Festival and Berry Bicycle Ride: Enjoy a pleasant pedal through the countryside with several route options for families. The four longer routes visit Highland with a rest stop at the town park. 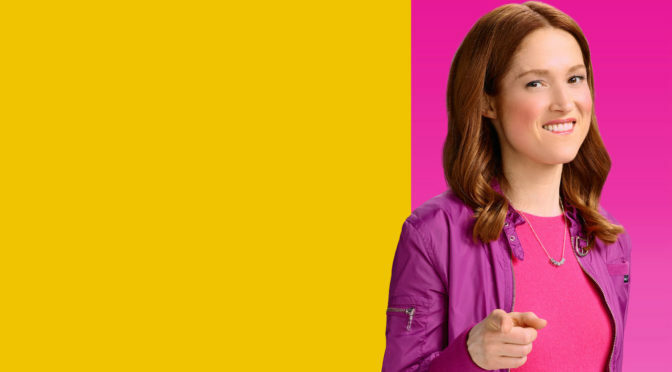 Ride cost: $11 Member, $16 Non-member, $6 Child – includes a serving of strawberry shortcake! 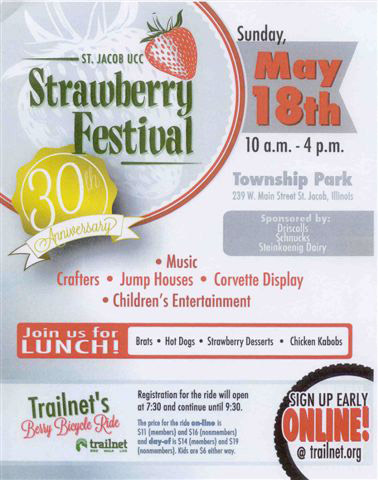 After the ride, enjoy strawberry desserts with food and drink, crafts for sale, and children’s activities at the Strawberry Festival.